Combine dressing and barbecue sauce in small bowl. Spread tortillas evenly with dressing mixture. Cover each tortilla with 1/4 cup lettuce; press lightly into dressing mixture. Top evenly with tomato, chicken tenders, bacon and cheese. Roll up tightly. 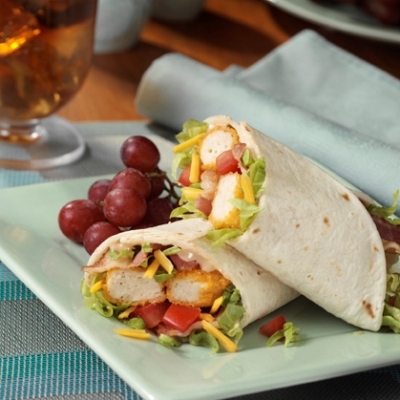 Cut each wrap diagonally in half to serve.